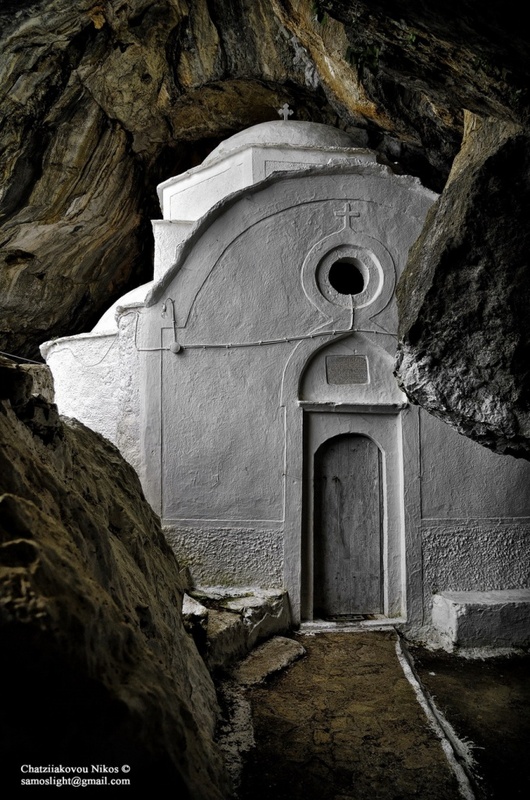 The Chapel of Panagia Makrini in Samos is dedicated to the Dormition of the Theotokos. It is found on the western side of Kerki, the Holy Mountain of Samos, and built within a cave probably during the days of St. Paul Latrinos in the 10th century. Frescoes from the 14th century decorate the church, among which are depictions of birds, plants and animals. The groin vault bears the building date of 16 August 1764. At the bottom of the cave there are small pits and earthen pots which fill from the water from the stalactites. 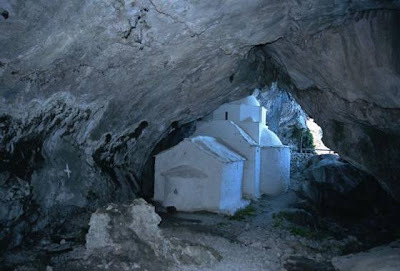 Inside the cave were found human bones, probably of monastics who formerly resided here. In olden times this church was part of a larger monastery. 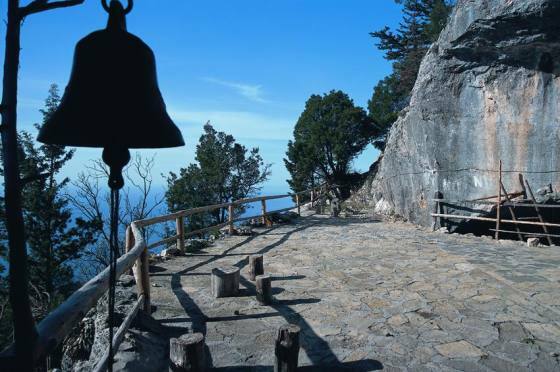 In the caves of the mountain, ascetics used to live, which is why the area is known as "askitaria". According to a Patriarchal Sigillion from 1816, this monastery belonged to the Monastery of Saint George Sinai in Monidrion of Kastania.